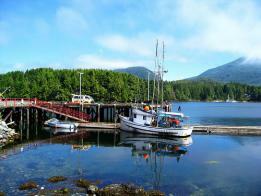 With so much to see in Port Alberni, it's hard to imagine you'll have time to venture to the west coast. However, it's a great day trip to the crashing waves of Ucluelet and Tofino's Long Beach. 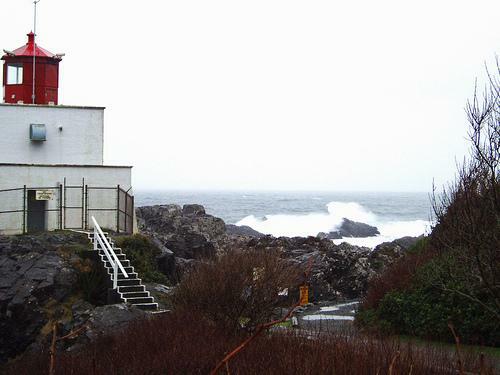 Ucluelet may be the smaller community but nothing is more exhilarating than the fury of the wind, rain and waves during a winter storm. Eight foot high waves pound the beaches bringing driftwood, trees and sometimes Japanese glass fishing floats. Beachcombing after a storm is fascinating and rewarding. 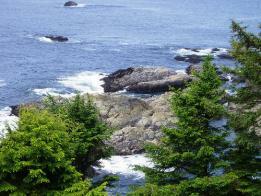 The Wild Pacifc Trail curves round the rugged and rocky shoreline of the Ucluelet Peninsula with incredible views of the expansive Barclay sound, the Broken Group Islands and the open Pacific Ocean. The gravel pathways and boardwalks wind through ancient spruce and cedar rainforest, and along rock outcroppings with ocean vistas. Numerous benches along the way provide for moments of reflection on mother nature's beauty. Take the full 2.5 kms through the forests and boardwalks for some spectacular views or just stroll as far as you feel comfortable. When completed, the trail will stretch 14 km. 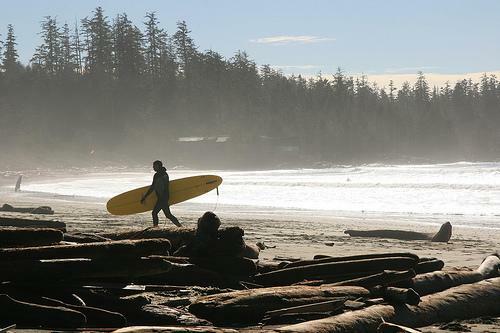 The Pacific Rim National Park with its mountain landscapes and lush forrests is the gateway and stunning backdrop to Tofino. Walking along the expansive Long Beach, you'll be able to watch the surfers battle to stay on their boards. 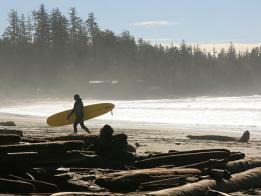 Tofino can be described as your text book west coast community. 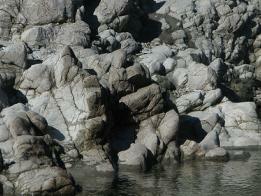 A trendy small town that thrives on local businesses, tourists, and cold water surf cultures. Hot Springs Cove is a year round adventure that encompasses everything you would normally see on a whale watching trip with the Hot Springs thrown in as a bonus. Hot Springs Cove is a 90 minute boat ride from Tofino so sit back and enjoy the breath-taking scenery and wildlife along the way. Then a leisurely 30 minute stroll through old growth cedar forest, along a boardwalk with the names of ships carved into most of the boards. Makes interesting reading as you ponder those who have come before. The geothermal springs come out of the ground at 120 degrees and cascade down a waterfall into a series of soaking pools naturally cut out of the surf rocks. Take along food and drinks for a picnic or have a meal at one of Tofino's many restaurants before heading home to The Hummingbird. 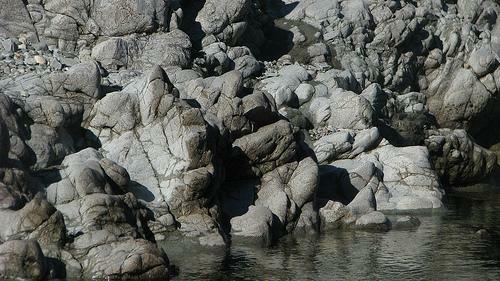 A great day with great memories of Vancouver Island's west and wet coast. Your hospitality was unreal, the breakfast delicious, the beds unbelievably comfy, and when I wasn't sleeping on the boat, having a lot of fun! I couldn't have caught my first fish without you, mostly because I wouldn't touch it.